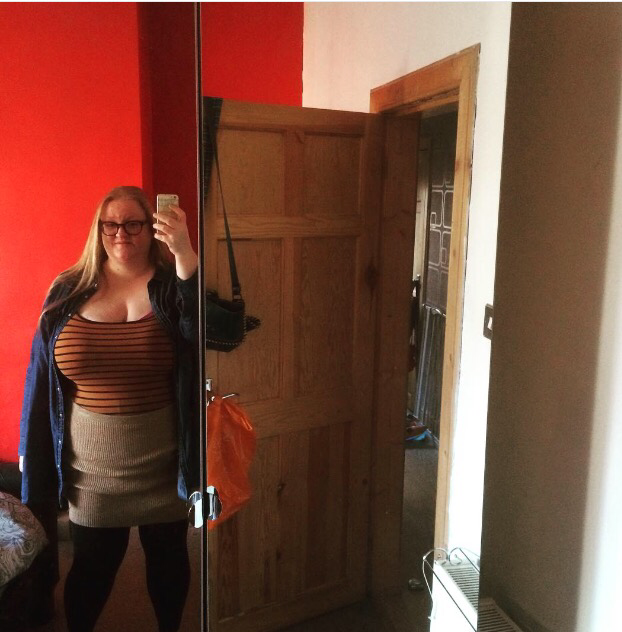 I had a baby shower to attend yesterday & no idea what to wear. Luckily the sun finally put his hat on allowing me to peruse the summery side of wardrobe & find something suitable. I opted for this cute skirt I got at the end of last summer & only got to wear once. I’m not really a ruffle fan, but I love the asymmetric placement on this skirt. I also love the stripes. It feels so fresh & perfect for a sunny day. I struggled to find the perfect present for the shower too. So, I decided to just buy a cute basket & fill it with lovely baby things. M&S are killing it on the cute baby clothes this season. I have so many little ones in my life that I’ll end up penniless if I don’t stop checking out the kid’s department. The shower was lovely. The Toyboy’s sister looked beautiful & I think everyone appreciated the sun coming out. Oh & if anyone needs a nappy changed in the dark, I’m your girl; I managed to do it perfectly whilst blindfolded. I didn’t want to waste a minute of glorious sunshine, so after the shower the Toyboy & I hit a local pub. Beer garden, fruity cider & yummy dinner as we watched the sunset was the perfect close to the day. My instinct to soak up those rays was correct, it’s raining today. Scottish weather is nothing if not varied. I’ve had a busy week. My days have been shared between being sick as a dog and being blissfully happy. Ideally I’d have forgone the first few days of stomach misbehaviour, but a few days glorious days with my tiniest nephew definitely made up for it. Anyway, both kept me busy & left me short on blogging time. Thus, I give you, another quickie. This week I’m shouting about statement earrings. I have a bunch of ear piercings and vacillate between loving & neglecting my earring collection. I am very much on an oversized kick at the moment. If it’s dangly, chunky or brightly coloured I’m into to it. I feel so much more dressed up when I hook a giant decoration on my ear. The only trouble I’m having is finding designs that everyone doesn’t have. As much as I love those big tassel earrings, they are just everywhere. Regular readers may have noticed that I like to put my own twist on things. Luckily for me I managed to find these beauties without breaking the bank. Oh & yes that is another sneaky Nyx purchase. I can’t resist their liquid suede range, especially when the shade perfectly matches my nails. Pink, it’s not even a question…. 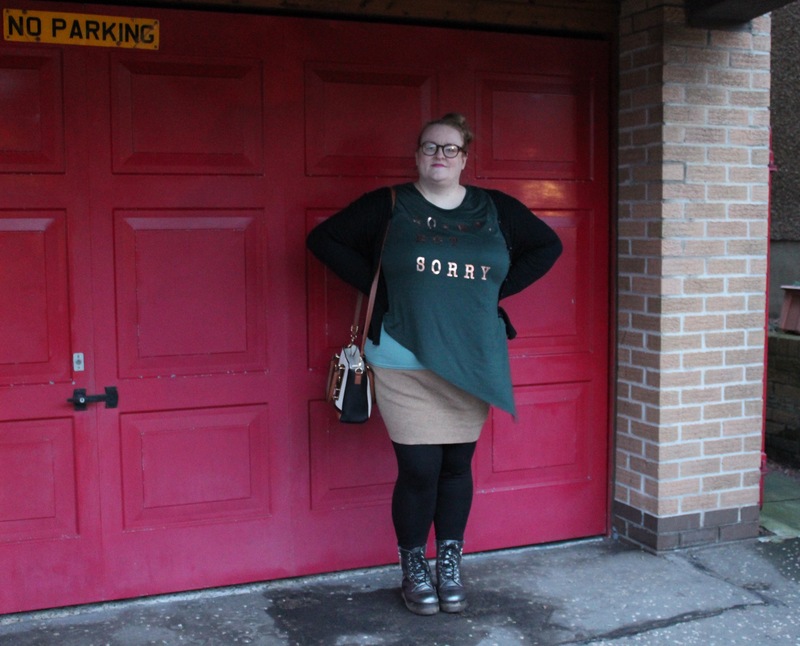 It feels like forever since I have done an outfit post. I keep wearing my funkiest looks when I have no photographer. Anyway, here’s a cosy wee number I put together for a walk with my sister & Seb. This skirt & t shirt are bargains from a recent haul. 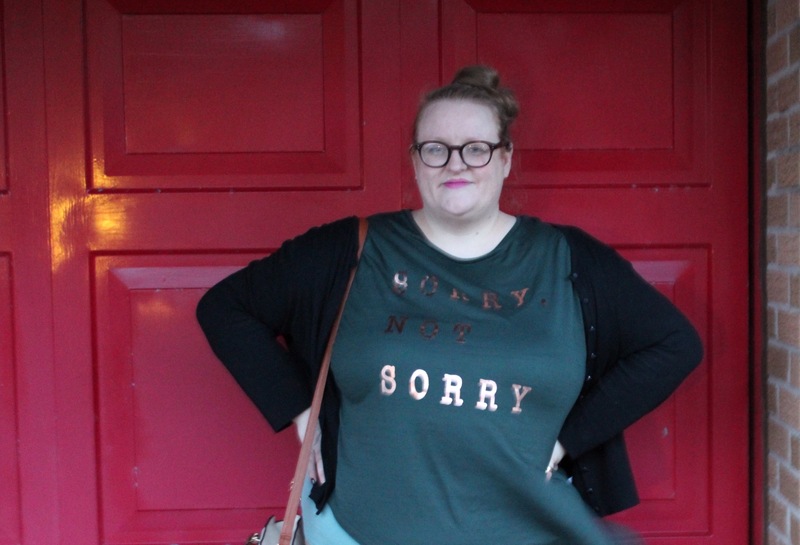 The ‘sorry, not sorry’ print amuses me & woolly skirts keep my bum warm; what’s not to love? 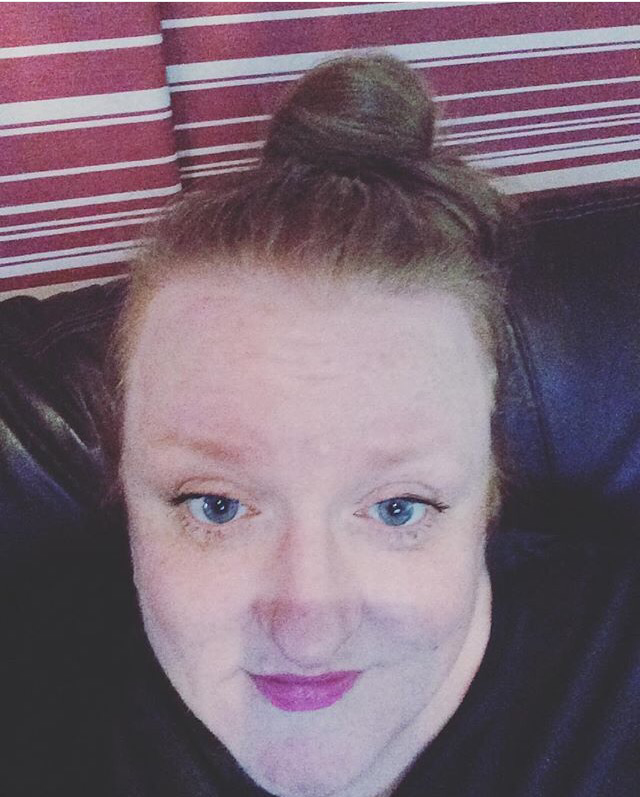 I also discovered that if you feel a bit dodgy pink lipstick will go a long way in perking you up. This bright hue is from Nyx, whose products I am fast falling for. I actually can’t stop wearing this skirt. It’s just so perfect for this time of year. So, here’s a sneaky wee selfie of another look.